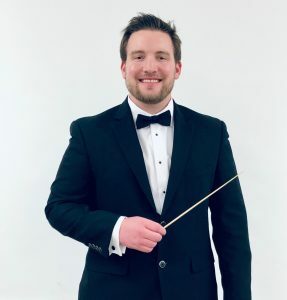 Bryan Kujawa is the Director of Bands at Shorewood High School where he conducts the Wind Ensemble, Symphonic Winds, Jazz Band, Pep Band, and Drumline. In addition, he leads the Cadet Band and teaches pull-out section lessons to 8th grade band students at Shorewood Intermediate School. Mr. Kujawa earned his Bachelor of Music Education from the University of Wisconsin – Eau Claire in 2013. His primary instrument is french horn. Prior to Shorewood, Mr. Kujawa served as Director of Bands & Music K-12 in the Gilman School District, a position he held for 3 years. He has also taught in the West Bend and Green Bay School Districts. Mr. Kujawa has performed with the Chippewa Valley Symphony, Eau Claire Chamber Orchestra, Kettle Moraine Symphony, Madison Scouts, and Milwaukee’s Knightwind Ensemble. He has performed in musical productions such as The Wizard of Oz, Mary Poppins, Little Women, & Big. Mr. Kujawa is also a composer, arranger, pianist, Apple Teacher, and Google Certified Educator. His professional affiliations include the National Band Association, the National Association for Music Education, and the Wisconsin Music Educators Association.